T.I.C.A. 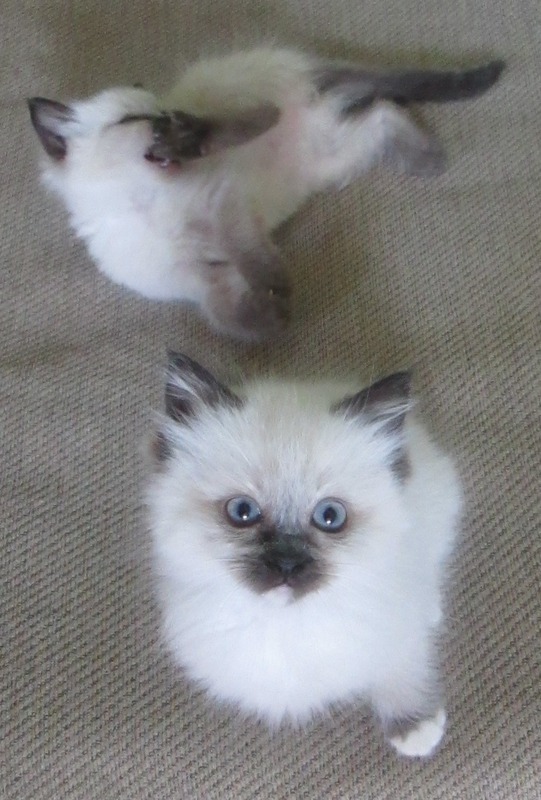 Ragdoll Kittens born March 12th, 2014. 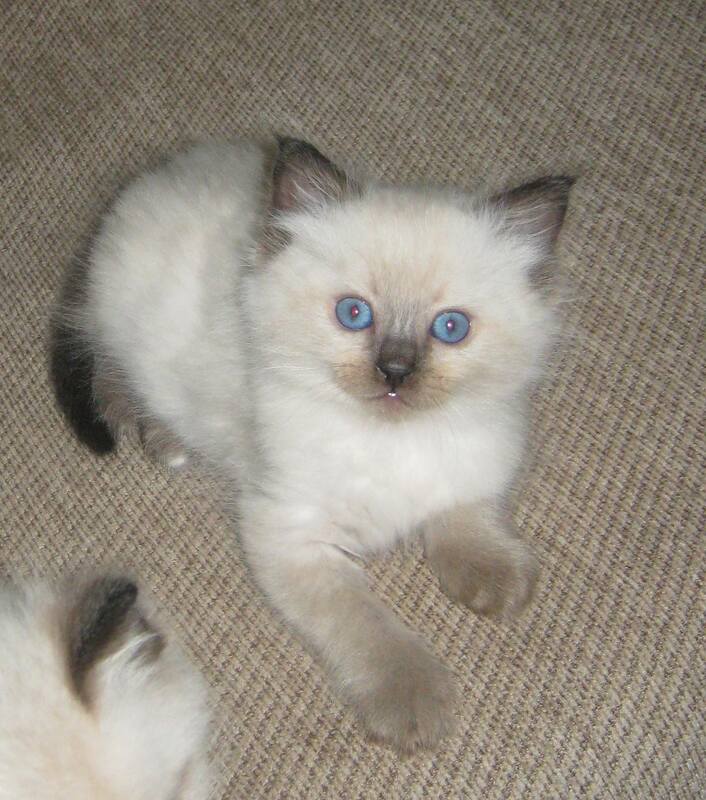 Currently we have one chocolate point male available (as of 5/12/14) one mitted chocolate point female and one chocolate point female for pet price of $600. 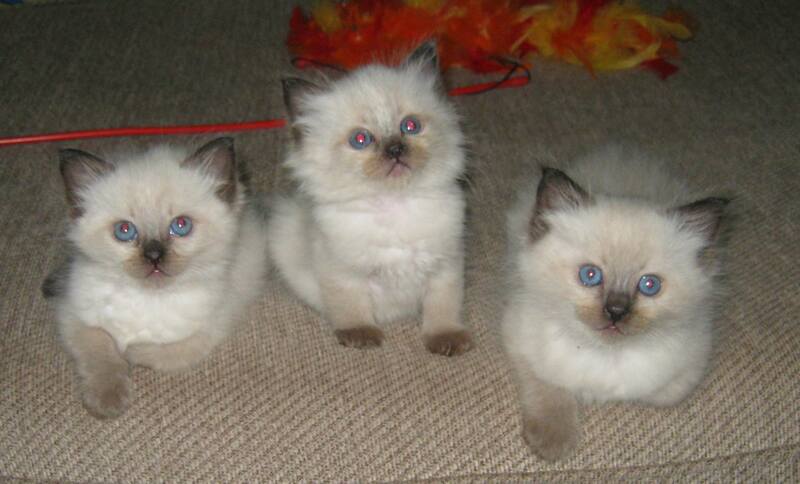 There is also one breeding/show quality chocolate point female available for $1200 to the right home. 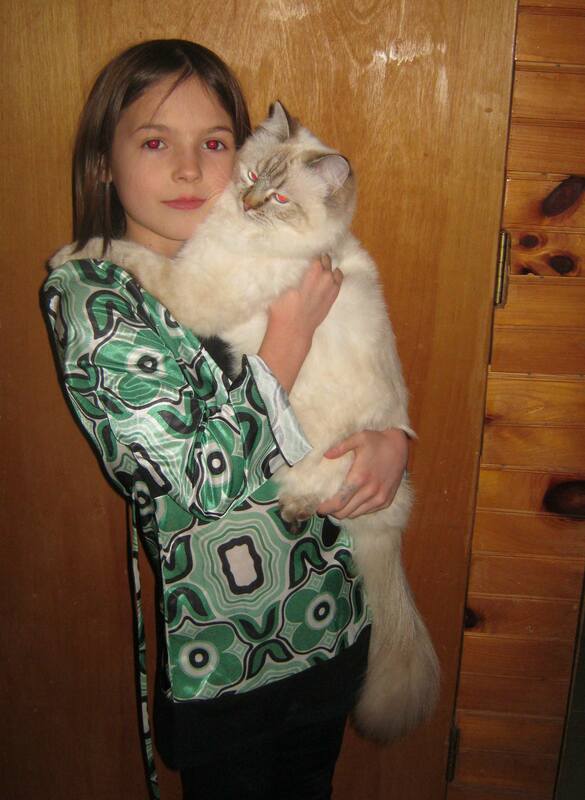 Fluffy is a dilute gene carrier, so any of the kittens may also be a carrier. 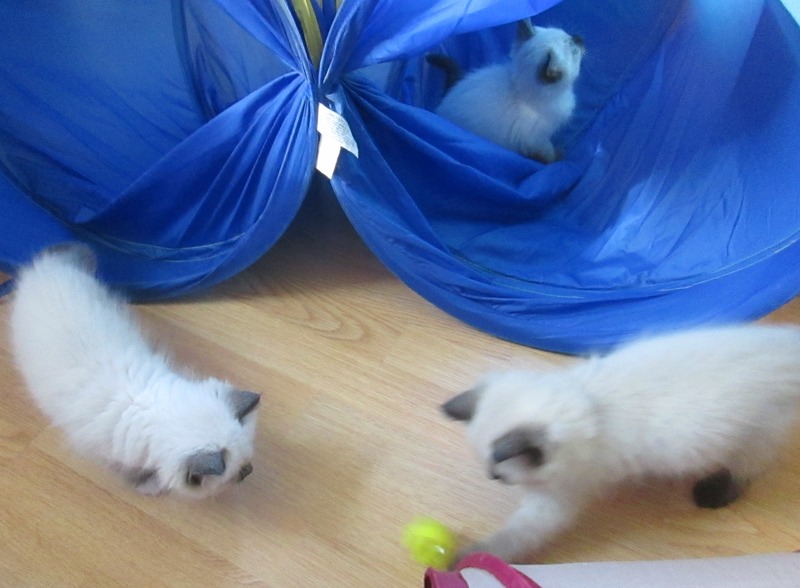 Both parents are sweet, attention loving Ragdolls that have been easy and enjoyable to own. We are able to accept credit cards via paypal for no additional cost. Mocha (litter dam) at 1 year old. 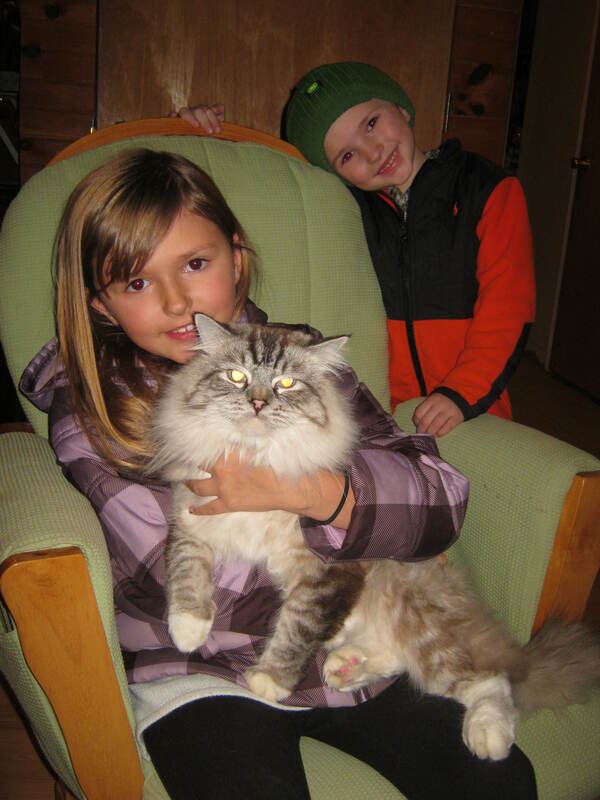 Fluffy (litter sire) at 2 1/2 years old.